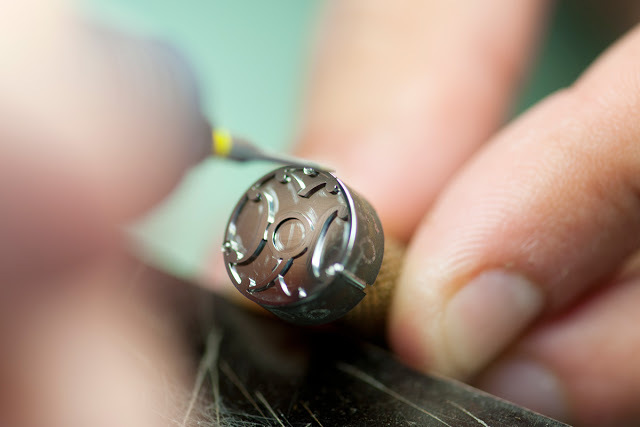 Hermès unveils its first flying tourbillon timepiece, the Arceau Lift, inspired by the flagship store at 24, Rue du Faubourg Saint-Honoré in Paris. 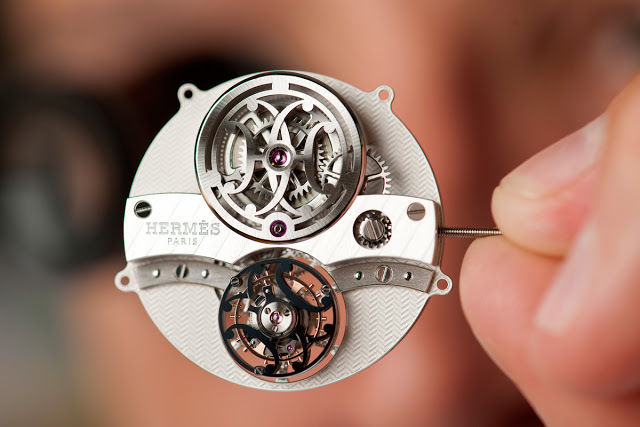 As Hermès slowly but surely builds its watchmaking capability, it was a given that a tourbillon wristwatch would eventually be added to the collection. 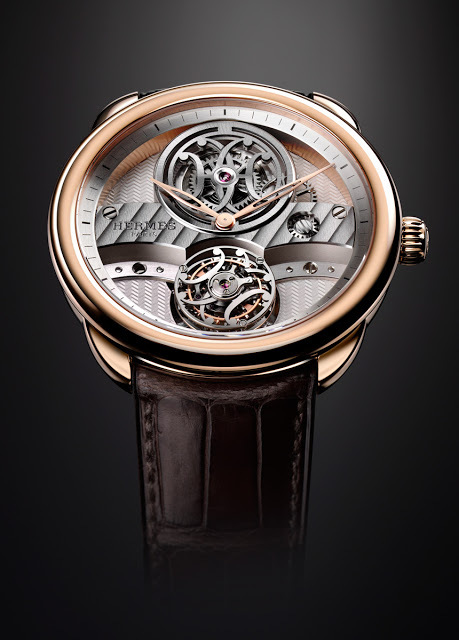 And so it has, with the Hermès Arceau Lift tourbillon, which is the brand’s first flying tourbillon (Hermès had a bridged tourbillon with a Vaucher movement in its line-up several years ago). 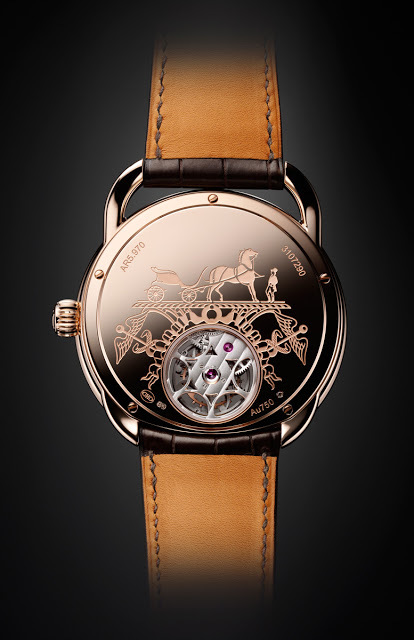 The Arceau Lift has an open-worked dial, including a large, horizontal bridge decorated with Geneve stripes and a guilloche reminiscent of herringbone fabric. 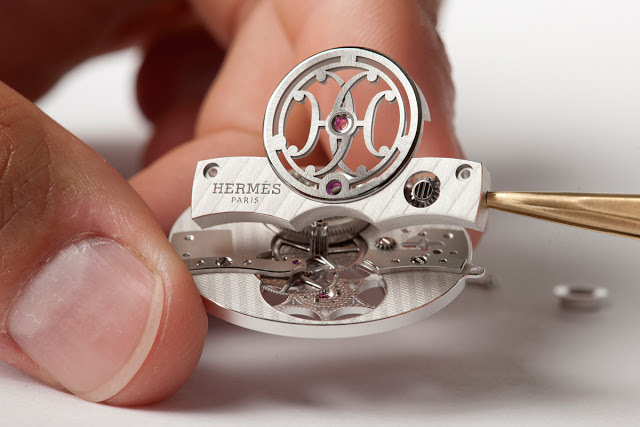 But what catches the eye are the open worked barrel bridge and tourbillon carriage, both of which are the form of the Hermès double “H” logo. 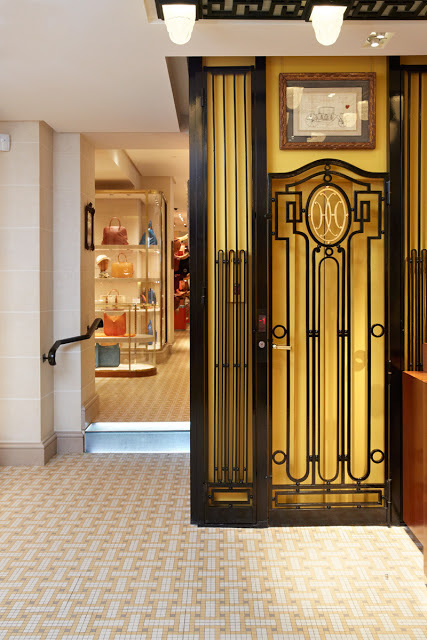 This motif is taken from the Hermès Parisian store at 24, Rue du Faubourg Saint-Honoré, and is a reference to the joining of the Hermès and Hollande families through marriage in 1900. 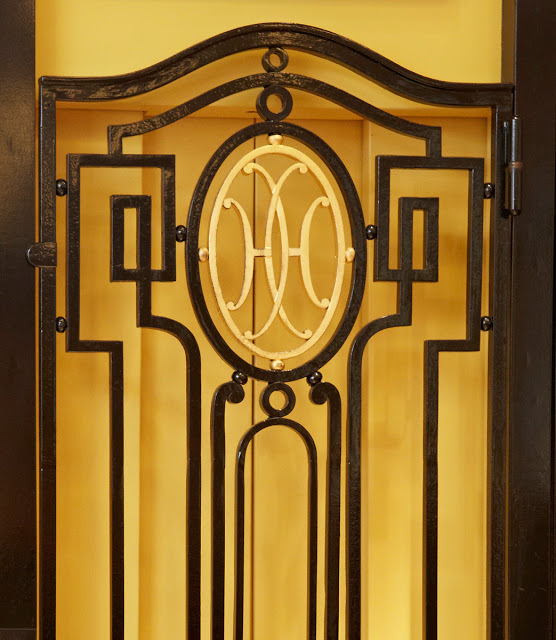 One of the most prominent examples of the double “H” logo is the wrought iron, Art Deco elevator installed in 1923 inside the premises, after which the watch is named. 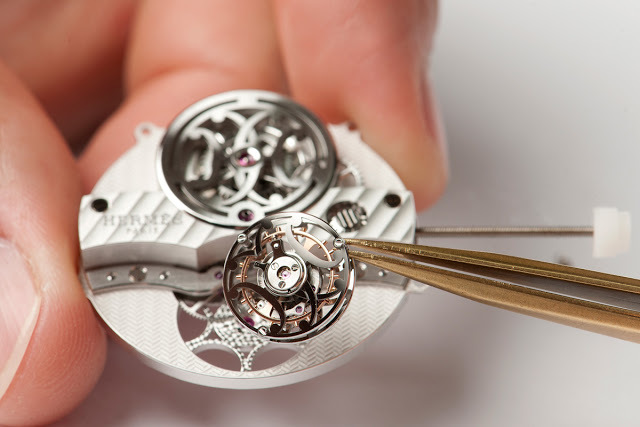 The hand-wound H1923 movement is manufactured by La Joux-Perret, the multi-disciplinary movement specialist whose two most notable recent tourbillons including the Arnold & Son UTTE (which is the world’s thinnest tourbillon) and the Romain Jerome Moon Orbiter. 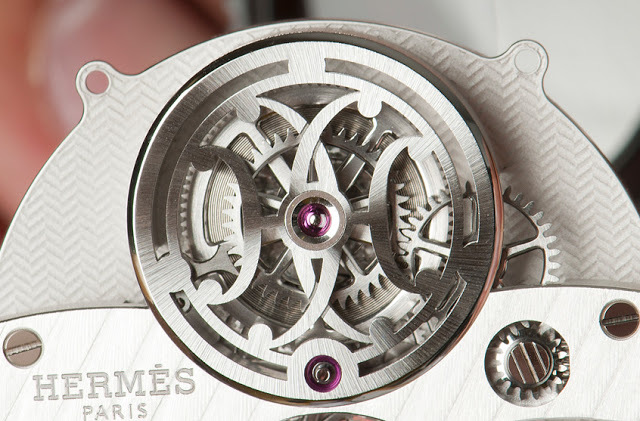 Though it is a fairly ordinary tourbillon movement in terms of construction and function, Hermès has endowed it with a significant degree of fine finishing, like hand-bevelled edges. 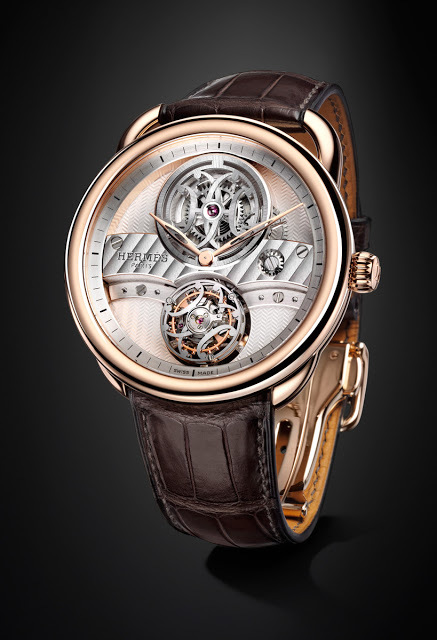 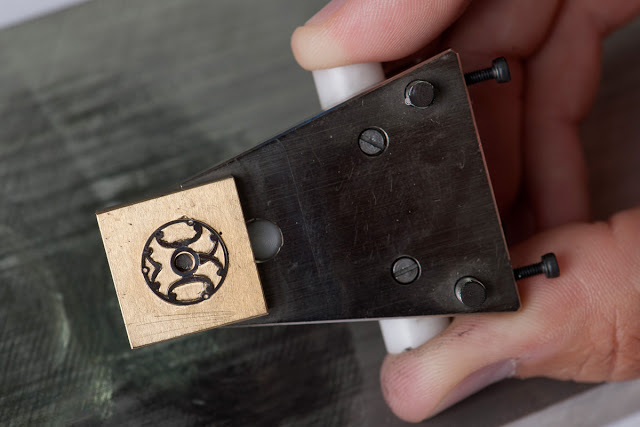 Most noteworthy is the double “H” tourbillon carriage, which has been black polished, also known as the speculaire technique.